When you hear about ‘personal training’ the words ‘exclusive’ and ‘expensive’ may come to mind. However, as fitness centers, boutique gyms and yoga studios have spread throughout the country the number of personal fitness trainers has increased as well, making it much more of a real possibility for the average person to access. Trainers are no longer just for muscle-building body builders, sports professionals or the ‘spandex-sporting’ crowd. With the expansion of wellness and fitness in America and a broadened scope for personal fitness trainers, individual training is not just about weight lifting and cardio, but rather a more comprehensive approach developing and augmenting a healthy and fit lifestyle. You may find yourself asking why you would benefit from a personal trainer, when you can just go and exercise for free? The answer is, its not that easy; and when it is, finding the time to exercise can be just as difficult as working out itself. Ultimately, aside from proper training techniques, having a person to answer to can help provide that much needed motivational force in your overall fitness and weight loss. Adding structure to any fitness and nutrition plan can augment your personal results. The fact that you invested in making regular appointments increases the likelihood for reaching your personal strength and weight loss goals, while helping to stop any self-sabotage. It’s often all to simple to stop going to a corporate gym that you pay less than a dollar because of work commitments, dates with friends or because you’re simple ‘too tired’ or overslept. However, it’s much more difficult to face a paid professional with these excuses, as most trainers will make you pay for missed appointments. More importantly, keeping the appointment on a regular basis does will help you stay on track to meet your goals and keep you accountable for your own results. By sticking with it, you’ll gain boosted confidence through seeing your fitness and strength gradually increase while you’re weight goes down. Being able to commit to regular exercise is the first step to reaching your weight loss and fitness goals, but training properly and efficiently is just as important. Much to often, new gym goers find themselves sitting at machines at the gym because everything else inside looks…well, intimidating or foreign. Even though most facilities provide an introductory instruction session, it is often not enough to ensure proper use the machines and free-weights to your best physical advantage. Having a personal trainer will help to not only consistently show you step by step how to use the equipment, but will make sure you are engaging the right muscle groups to perform each exercise properly. More importantly, having a good personal trainer can help you target specific ‘problem’ areas to work on and provide the right combination of cardiovascular, plyometric and resistance training to most work out most efficiently. One of Lucas James’ mottos is “Results aren’t promised, they’re earned”. This is because personal training is… well, personal. Consistency is key; and while personal fitness training is definitely a step in the right direction, not showing up regularly to sessions for at least three months can lead to decreased results. A regular workout schedule will give you a concrete measure for weight loss progress. Whether its increased number of reps, greater weight resistance, decreased body fat or weight-loss in general, trainers are there to keep written records and track your progress. The more you skip out on exercising and eating properly on non-training days, the fewer results you’ll see. Ultimately, it is your body and your schedule, so it is important to have clear goals for your efforts, such as decreasing body fat, building lean muscle, increasing endurance or just staying healthy and fit. Clear goals will help you to stay focused and moving in the right direction towards accomplishing what you set forth to. It is just as important to remember that our bodies are not machines and they do not change overnight. Eating healthy for a day, or working out for one hour does not guarantee results. Likewise, focusing daily on body measurements can distract you from achieving your goals. You’re working with a trainer to make lifestyle changes, not to find a quick fix. Feeling any difference either mentally or physically can take time. You need to commit to at least 90 days as a trial period for training to notice a true change in your body. However, eventually the increased muscle tone, strength and stamina will help to boost your self-esteem and keep you motivated in the long run. Everyone’s body type is different. Different body shapes and sizes, along with different individual’s metabolism and genetics, will determine what is possible in terms of an achievable a desired physique. These limitations however are more specific to actual looks than performance. For example, a swimmer’s body and a professional football players body are completely different. It would be nearly impossible for someone with a small frame to function as efficiently with as much muscle mass as a better-suited staulkier frame. There is a specific amount of stress and impact that muscle has on one’s bone structure, so it important to work towards goals that best serve each individuals stature. Similarly, it is important that you train for realistic and healthy goals, especially when weight loss is desired. The key to weight control is balancing the energy we get from food (calories) intake with how much energy our bodies burns through physical activity. To lose weight, you have to burn more calories than you eat. The healthiest way to do so, is through proper exercise and regular physical activity. When you exercise regularly, you build stronger muscles to support a healthy body. Increased lean muscle will help to burn more calories throughout the day, even while resting. Instead of ‘dieting’, exercise can provide the support your body needs to loose weight efficiently and in a healthy manner. Extreme weight-loss during a short period of time can be seriously detrimental towards one’s health and even fatal. The National Institutes of Health recommends slow weight loss of 1 or 2 pounds a week, until a desirable body weight is reached. Losing weight too quickly can be detrimental for normal growth and development, aside from proper vital body functions. 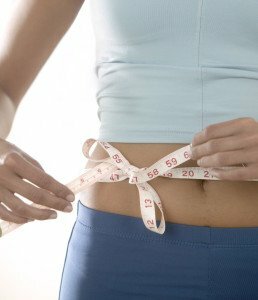 Accelerated weight loss can also lead to serious psychological problems such as eating disorders. Make sure to discuss your weight-loss goals with your trainer to determine the healthiest way to achieve your ideal body weight. Be honest with yourself and your trainer. It is most important that each person is on the same page and communicates with one another to ensure a proper wellness program with a healthy approach to fitness and realistic goals. It is important to sit down for a consultation before any exercise or fitness program starts to determine the best exercise regimen and nutrition support needed to safely achieve your goals. If you’re looking for personal training, Lucas James can help you set up the right Scottsdale weight loss program to meet your goals and teach you the best way to maintain them through exercising and eating right!